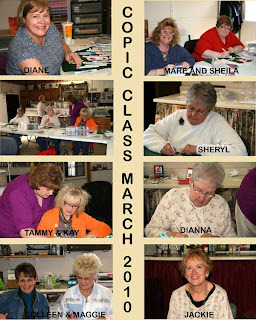 Last Friday Tammy and her mother drove over from Ohio so that Tammy could teach a Beginners and Advanced Copic Class. The classes were very successful!! I did a survey afterwards and Tammy received nothing but praises. She did an excellent job and we all learned a lot!!! I hope to get the cards posted soon that were made in class.